Kath Bloom is a folk, country, and avant-garde legend. She has been making records since the late 70s, and has had her music featured in the movie Before Sunrise by Richard Linklater. Mark Kozelek and Devendra Banhart have covered her songs. She's released tons of well-written songs for so many years it's really too much to even name. She has over 15 albums released, and there's an upcoming tribute album to her to be released later this month. This is guaranteed to be a great show. 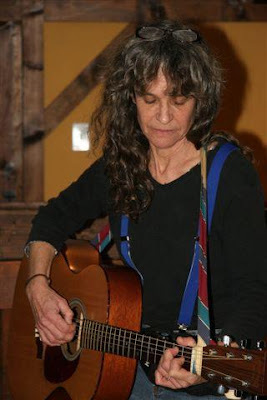 You can catch Kath live on June 21st as well, at the Haight Vineyard in Litchfield. Supporting Kath is The Shellye Valauskas Experience, a female-fronted indie pop band from New Haven. They have some really sweet, catchy tunes and are currently playing a lot of shows this month! You can also see them on Wednesday at Daniel Street, outdoors at the Westville Artwalk in New Haven on May 8th, and on June 20th at Neverending Books. Check out their myspace for more upcoming dates.